The Mansion by Ezekiel Boone is a horror story that brings the idea of a haunting into this century and the digital age. After reading one might think twice before ever asking Siri or Alexa for any more favors in their lives. Straight out of school Shawn Eagle and Billy Stafford spent a year locked away in a remote cabin writing the coding that would one day change the world, Eagle Logic. However, instead of both of them basking in the glory when the business booms Shawn got the company and Billy walked away with Emily who had dated Shawn first. Now, years later, Shawn is a billionaire and Billy is a recovering alcoholic deep in debt so when Shawn approaches Billy to help him with his new AI software Billy can’t help but be interested. The deal is for Billy and Emily to move into the Mansion and fix Nellie but clearing their debt may cost them more than they bargained for. 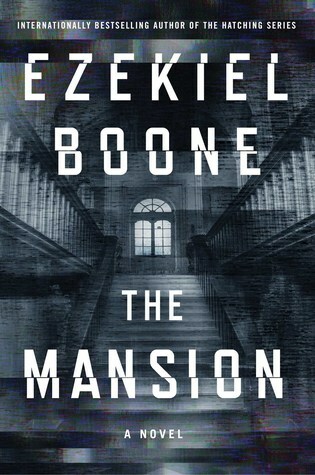 The Mansion was my first try for a horror novel from Ezekiel Boone and I have to say I was a little torn walking away from this one. The idea of the plot was solid and I did find the writing enjoyable however there just didn’t seem to be enough of the horror. An extremely long time is spent building the back story and characters making things progress slowly so it felt as if the actual “haunting” was buried and rushed to a conclusion so in the end I would rate this at 3.5 stars.